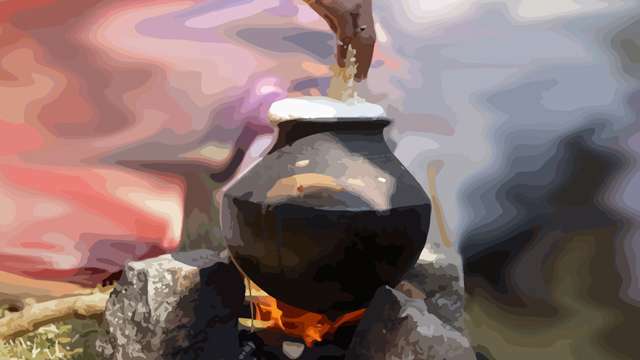 Sadhguru looks at the significance of Pongal, celebrated in the month of Thai in the Tamil Calendar. Sadhguru: Celebrations at the time of the winter solstice have been universal in almost every culture on the planet. It is seen as the rising of the new sun. In ancient Rome, this was celebrated as Saturnalia, which means it was about Saturn, the god of agriculture and food. In southern India, even today, the celebration of Makar Sankranti is one of the most important festivals in a year for the agricultural communities. In Rome, Saturnalia was a holiday – people gave gifts; no war could be declared on this day, and masters and slaves swapped their positions. In India, even today, men and women swap their positions at that time – men will be singing, women will be drawing complex geometric patterns in the form of Rangoli. In lands like Central Asia and China, such celebrations were also prevalent. 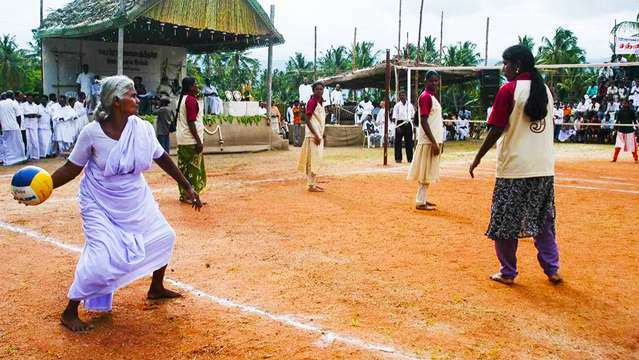 These traditions were destroyed in Europe and other parts of the world with the advent of Christianity. The ancient Egyptians always saw that during this month, the line between the physical and the spiritual is thin, or the two are brought close together. Between the 14th and 17th of January are the festivals of Makar Sankranti or Pongal, as it is called in Tamil Nadu. There are different aspects to this festival, which falls in the month of Thai in the Tamil Calendar. 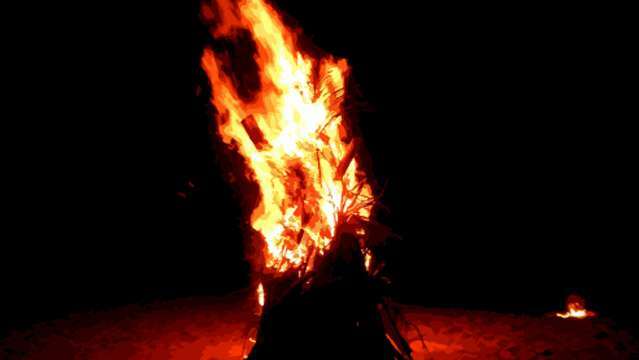 There is Bhogi, during which houses are cleaned, decorated, and in a way re-consecrated for the new year, using materials like mango leaves and the first cut of paddy to enhance the vibrance in the house. All the unnecessary things in one’s home are disposed of. In this season, you should get rid of all the unnecessary things in your life and begin life afresh. You should make this cleanup an annual event. Even if some cleaning up is done on a daily basis, a few things pile up here and there without you being conscious about it. This piling up is not only of material things in our homes. Also in our minds, in our emotions, in our bodies, and in our consciousness, things pile up. This is the time to clean that up and start afresh in the coming spring, as >spring is the best time to start life. Apart from Bhogi, the Pongal celebrations also include Mattu Pongal, which honors all the animals that traditionally play an important role in agriculture. 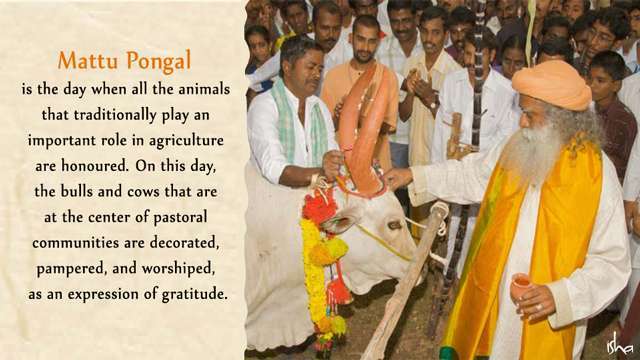 On this day, the bulls and cows that are at the center of pastoral communities are decorated, pampered, and worshiped, as an expression of gratitude. In Karnataka and Andhra Pradesh, they make these animals cross a small fire made of hay. This is because during winter, when the animals stay inside more, their hooves tend to get worm-infested. So as a part of the celebration, they are made to walk over the fire. This cleans up their hooves and removes any worm infestation. Children and adults also run over the fire, just for the fun of it. Today machines have come in but you cannot grow food out of just machines. If you do not put animal waste into the land there will be no question of any agricultural produce. So animals which work in the farms have always been very important part and on this day the bulls and cows which made the life of pastoral communities are worshiped and decorated. They are pampering in so many different ways. The idea is to recognize how important a role they have in the making of our lives. It is an expression of gratitude. On the next day is Kaanum Pongal, which is a community affair – this means going and seeing people. The Makar Sankranti or Pongal festivities have various ingredients of cleansing, of appreciating and expressing gratitude to all the creatures that are involved in our lives. It is also about getting involved with the community, which means it also has a social connotation. It is a time of festivity. However, in the last twenty years, the life of a rural person in India has gone down so terribly. The old systems have completely broken up and nothing new has come up to support him. All the evils of market economy have touched him, but the benefits of market economy are nowhere near him. All the things he was proud of twenty years ago, he is ashamed of today. Simple traditions, simple ways of culturally integrating himself into the society, the oneness of the people in the village, all this has been seriously disturbed in the last twenty years because of economic policies, television, and other things. 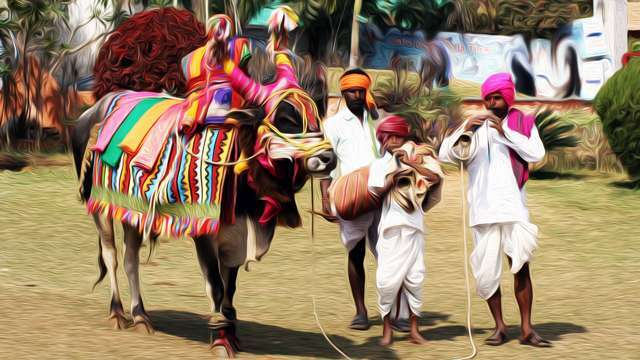 For example, during Pongal, farmers would put make-up on their bulls, paint them so colorfully, and walk on the street with tremendous pride – with two bulls, even if they were skinny. But today he is ashamed of taking out these two bulls, simply because he has attended school till the fifth standard. You don’t know what kind of damage it does to his life, because there is nothing else for him to do, nothing else to live for. Even his physical condition has deteriorated so badly. The whole spirit of the rural public is gone. There was a time, just ten or twelve years ago when planting season meant everyone got together and did cooperative planting and harvesting. The whole village came to your land and did it, and tomorrow you went to another land, singing, dancing. All the song and dance has completely evaporated – you only watch song and dance either on the television or in the cinema; you yourself do not dance and sing anymore. These things are not small things. There is no replacement for this. This cultural support that he had for entertainment, for dance, for a psychological basis, is just being dismantled at a rapid pace without providing a substitute. Agriculture, just as a remunerative process, is a heartbreaking process. It is not remunerative that way. Joyless agriculture will lead to all the farmer suicides and other things that we are seeing today. When people worked on the land with a very deep connection to it, there was a different feeling about it. The thing about our country is, though we have almost no agricultural infrastructure as such in the rural areas, we are producing food for 1.2 billion people. This is a feat that our farmers have achieved because of the traditional strength of knowledge that they have. It may not be considered scientific, but their understanding of the land, their understanding of the weather and the rain was very deep in the farming community, which today is being eroded in a huge way for which we will pay a price. If our ability to produce food for this one billion people goes away, we as a nation could break up. So it is very important that rural revitalization happens. This is not something a government can do. A government can change policies and give economic opportunity, but a government cannot go and change each and every individual’s life. This is where Isha’s role has become very significant, that we are revitalizing the human consciousness in rural villages, we are revitalizing the spirit of living there. It is not like you are a leftover in the village; the village is a worthwhile place to live. People keep asking me, “What to do? The government does not have resources.” Today, corporations have become so large, they are nations by themselves. Each industry can take up one taluk in the country to set up training, education, healthcare – not as charity – but as a long term investment. If I want to grow a coconut tree, I wait for eight years before I see anything. If you invest in education, nourishment and other aspects, there are ways to make it work so that it pays. It may not pay big time but it pays enough to sustain it. If you do this, in 10 years’ time you have a fabulous human resource, dedicated and loyal to you. These things can be controlled by the government so that it is not misused and exploited. Some laws can be put as to how it should be conducted. Industry has to partner with the government, NGOs, and the concerned people and put it into action on the ground. We always think India is 120crore people. That is not the way to think. Think of one district, and just transform it. We have just been talking about it for too long. This has to happen! With the advent of modern life, we should not remain glued to the television and computer. It is a time to come out and celebrate, feel the air, feel the change in the weather, feel the change in what is happening within yourself because of the changes that are happening with the planet. 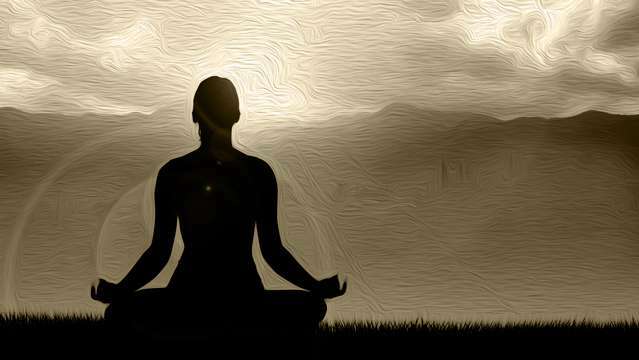 This is the time to do spiritual processes and sadhana. This is the time to fast. This is the time to prepare for a new beginning. This is the time not to fight. Armies were stationed, fortresses closed, business and travel suspended. People ate good food, and sacrifices were done to the ancestors. In India, we say during this time, you can cross the Vaitarani River more effortlessly because it is at its lowest ebb. The Vaitarani is a symbolic barrier or crossing point between the embodied ones and the disembodied ones. This month is seen as the best time of the year to make a connection between the two. Traditionally, at this time, people reduced their material activity and increased their spiritual activity. But these days, human beings are not working according to natural cycles but like machines, going on endlessly. It would be very good to notice the natural cycles and adapt to them, because one’s ability to do things is different at different times of the year and at different positions of the planet. Particularly when it comes to one’s inner journey, using these natural cycles can be immensely beneficial. Or, if one gives oneself to a spiritual process, one will become conscious of these dimensions as to how the universe and the human body are not really two separate things but two parts of the same system. It is very important that we are in sync with nature. Otherwise, there is no way your life can really flourish to its fullest possibility. Whether it is a plant or a tree, if it is not in sync with nature, it cannot survive. In a way, this is also true for us – if the human system is not in sync with everything around, it may manage to survive, but it will not flourish. The winter solstices and equinoxes are times when the celestial bodies naturally influence human consciousness and human energy in a certain way. I request all of you to make use of these days and the coming year to raise your individual consciousness and that of people around the world.